One great thing about NYC is that you are never short on places to meet up with people for a drink. But, lots of people have the same idea, and between televised sports and active Happy Hours, it doesn’t take long for some bars to get so loud that conversation becomes impractical if not impossible. If you live or work in NoMad and are looking to have a genuine chat with someone over an after-work beer, cocktail or glass of wine, here are a few neighborhood spots to try where the decibel level might be just a bit more manageable. Located in the basement of the recently-renovated James Hotel-NoMad, The Seville takes its name from the hotel’s original name “Seville”. Upon entering, you will notice a large living room-like setting with lots of space for conversation with friends, co-workers, clients, or colleagues. Arrive early and the atmosphere will be more relaxed and low-key. Their signature cocktails are sure to please. Sunday – Thursday: 4:00 p.m. – 2:00 a.m.
Friday & Saturday: 4:00 p.m. – 4:00 a.m. Topping many lists as one of the best whiskey bars in NYC and the world, this sophisticated destination features over 1,000 varieties of whiskey, along with other traditional liquors and wines. You won’t find a whisper-quiet atmosphere here, but neither will you be fighting pulsing club speakers. Instead, you’ll have the chance to enjoy a fine glass of whiskey or wine while listening to live jazz nightly—at volumes that don’t overpower conversation. Sunday: 5 p.m. – 12 a.m.
One doesn’t normally think of a hotel lobby as a quiet place to have drinks—but then again, the Ace Hotel isn’t your typical hotel. 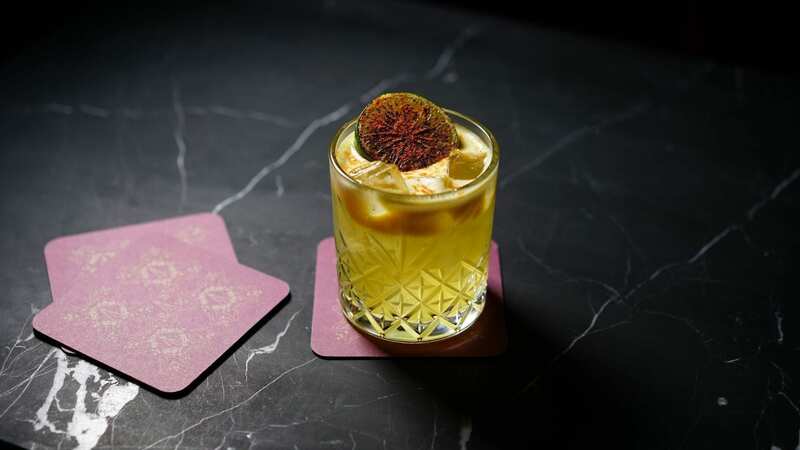 The Lobby Bar is known for its intimate feel and calm surroundings, and if you get the munchies, they also offer a selection of items from the hotel’s flagship restaurant, The Breslin. The only caveat: The bar hosts local DJs some evenings, so if your conversation lingers toward 10 p.m., don’t be surprised if the atmosphere changes. Sunday – Wednesday: 12 p.m. – 2 a.m.
Thursday – Saturday: 12 p.m. – 3 a.m.
For late afternoon drinks with a bit of fresh air, check out this NoMad gem. Set on the rooftop of the Mondrian Hotel, Mondrian Terrace offers both indoor and outdoor seating with a comfortable vibe and an airy atmosphere. It’s typically not crowded after work, and you can usually find a quiet spot or corner on the terrace to converse. Tuesday – Saturday: 4 p.m. – 11 p.m. Yes, the NoMad Restaurant (in the NoMad Hotel) is one of the neighborhood’s most elegant dining options—but the NoMad Bar’s classy décor and quiet atmosphere also provide excellent surroundings for conversation. Accessible by a separate entrance at 10 West 28th Street, this bar offers a selection of classic and signature cocktails (along with a nice array of beers and wines)—not to mention an upscale pub menu, if you’re inclined to dine. Monday and Tuesday: 5 p.m. – 12 a.m.
Wednesday – Saturday: 5 p.m. – 2 a.m.
Technically, this is more an Italian restaurant than a bar, and a really good one at that. But they’ve got an impressive list of wines and cocktails and a variety of seating options—including outdoor seating in the warmer months—and they welcome the after-work crowd. If you do get hungry, which you probably will…that’s just another bonus. Monday – Wednesday: 11 a.m. – 11 p.m.
Thursday – Saturday: 11 a.m. – 12 a.m.
Tucked into a cozy nook in northeast NoMad, this intimate wine bar and restaurant features an extensive list of 300 wines (30 by the glass), plus a seasonal menu drawing from local sources. With a full-service bar up front, quiet dining in back, and an all-season garden patio, Wine:30 is typically not too crowded and a great place for quiet conversation. You can even stay for dinner, if you wish. Tuesday – Saturday: 11 a.m. – 2 a.m.
Sunday – Monday: 11 a.m. – 1 a.m.